The grass field that lies in front of SNU's Administration Building is quiet and static during most days of the semester. Despite being called the Student Lawn, the field is normally off limits. 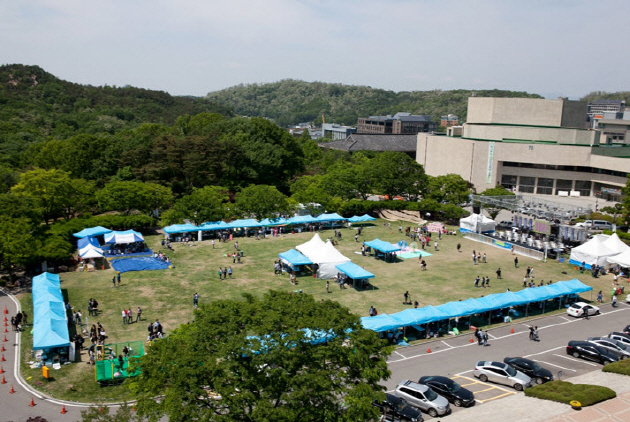 However, during the season of the biannual SNU Festival, the Student Lawn becomes one of the liveliest areas on campus, it being the central location for most of the festival events. Among the various food booths, game contests and other activities available for students and visitors, Acoustic Camping and Electronic Camping are unique ways to enjoy the festive atmosphere. 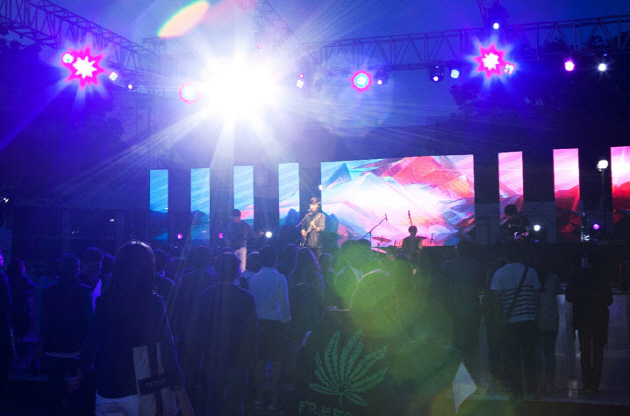 For students who want to continue enjoying the festival late into the night, the Spring Festival 2016 offered two kinds of musical camping – Acoustic Camping, which took place the first night, and Electronic Camping on the next. The events are arranged by Chukhasa ("Festival People"), the student-led organization in charge of arranging various major and minor entertainment events that take place throughout the year. As the camping experience is quite popular among students, the online registration process can be rather competitive. Each five- to ten-student group must submit its application promptly, in order to reserve a tent. This year, Acoustic Camping and Electronic Camping began on 8pm of each respective night. 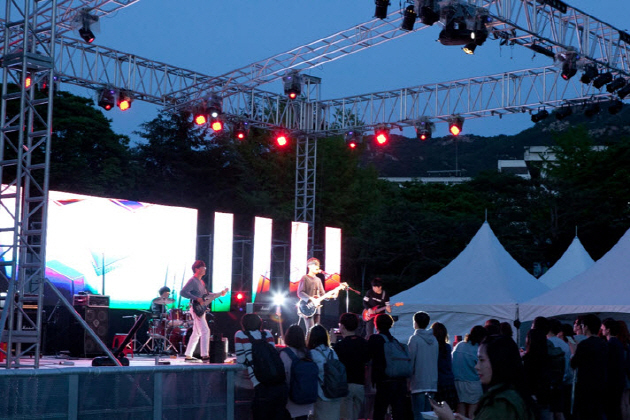 The acoustic concert, which lasted past midnight, showcased a number of student acoustic bands as well as professional singer-songwriter duo, Kim Sawol X Kim Haewon. After the performances were over, Chukhasa arranged an outdoor movie screening. As for Electronic Camping, the night kicked off with a session of student band performances, including Sand Pebbles, a band first formed in 1977 and consisting of students from the College of Agriculture and Life Sciences. Next, the second session called the Gwanak Electronic Music Symposium took the stage to provide an exciting combination of dance music and lighting to further heat up the night. Then, Chukhasa screened K-Pop music videos until the early morning. Compared to other components of the festival, an important merit of Acoustic Camping and Electronic Camping is that participants can fully enjoy the festival with friends until very late at night. In addition, students can listen to live music of their choice, for free. Many students pull"all-nighters" at SNU at times to finish homework or study for exams, but staying up all night in a tent during the festival season is definitely a rare and memorable experience. "The exciting music was the most enjoyable aspect about Electronic Camping," said KO Eunbin, a freshman at the College of Music,"I had much fun dancing with friends."